It was busy weekend on the International Cross Country scene and the ECCA sent teams to both Belfast and Seville to take part in quality races to prepare England athletes for Championships to come.The first was the Home Countries International in Dundonald near Belfast, this event was held in conjunction with the British Cross Challenge and competition in the senior races was augmented by a group of Kenyan and Ethiopian athletes. In the Senior Men’s race with the top three from Kenya and Ethiopia, England packed well as a team and finished Alex Teuten 7th, Jack Gray 8th, Phil Norman 9th and Adam Hickey 10th. This was once again good enough to win the HCI team event. In the Senior Women’s race there were also two Kenyans and two Ethiopian in the first four, however Emily Hosker-Thornhill produced her best performance for sometime to finish 5th then came Kate Avery 7th, Claire Duck 9th and Louise Small 12th and another team win. 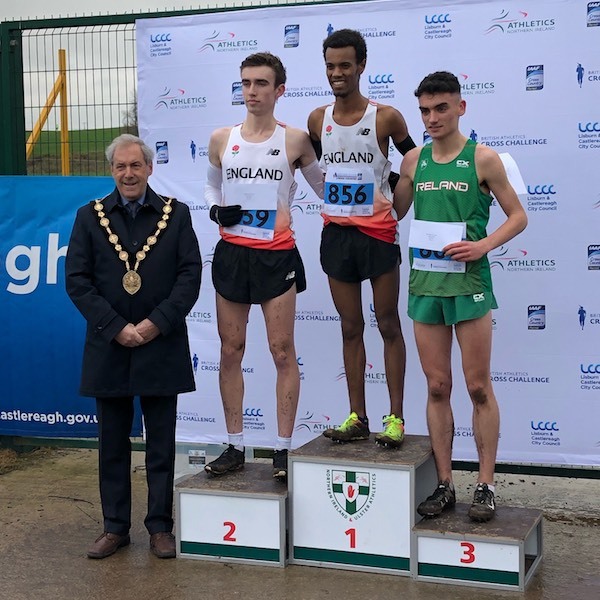 The England U20 teams gave an excellent account of themselves, with Zak Mahamad following his victory in Elgoibar last week scoring another at Belfast, he was pushed hard by Ben West 2nd and Connor Bentley 6th and the team easily won. 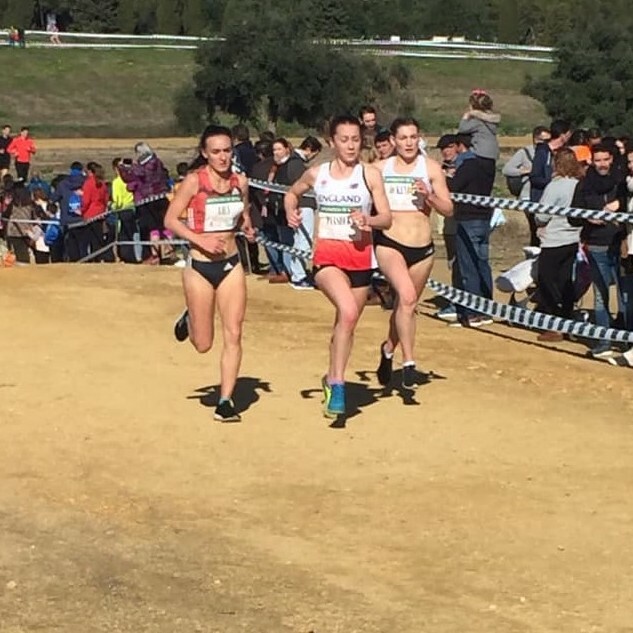 Not to be outdone by the men Grace Brock led England U20 women home with a great victory, Maya Todd-McIntyre was an excellent 3rd, Charlotte Alexander 6th and the team was completed by Kate O’Neill 9th. 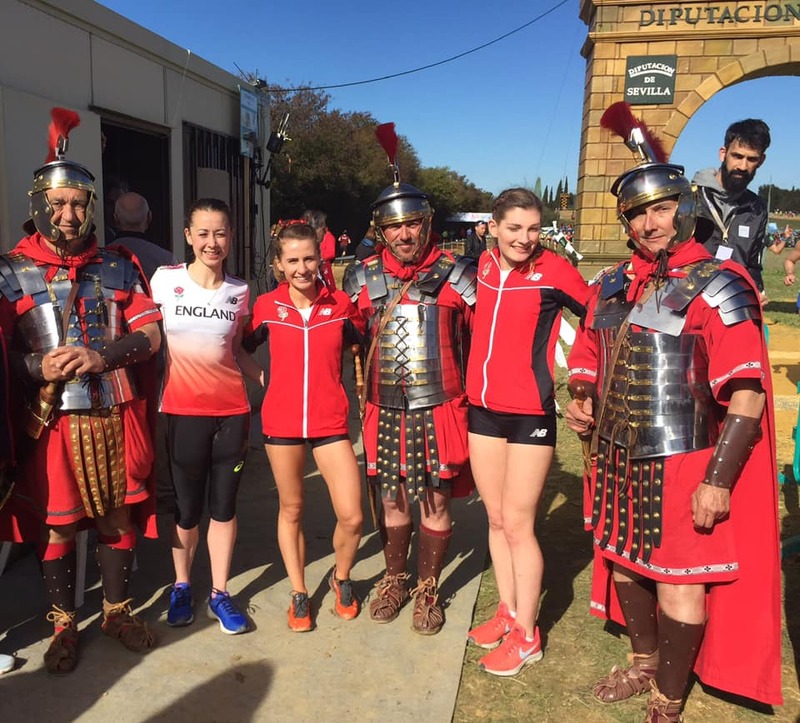 The busy weekend continued with England runners taking part in the IAAF meeting in Seville Spain. This was another top quality meeting and England athletes were there for the experience. We just took two men this year due to clashes with other events, with in the senior race Mahamad Mahamad running extremely well for 16th place against Africans and a host of Spanish and Portuguese athletes. Our other man, was Lachlan Wellington who ran in the U20 race, making the podium in 3rd place behind two top Portuguese athletes. The England Women again faced top class fields with the top five places going to Africans and Can who represents Turkey. Our best runner home was Jessica Piasecki in 7th place just one second ahead of Verity Ockenden. Lucy Reid came home 17th just ahead of Lily Partridge who had received a sponsors invitation to the event. Next up is a trip to Belgium in February.